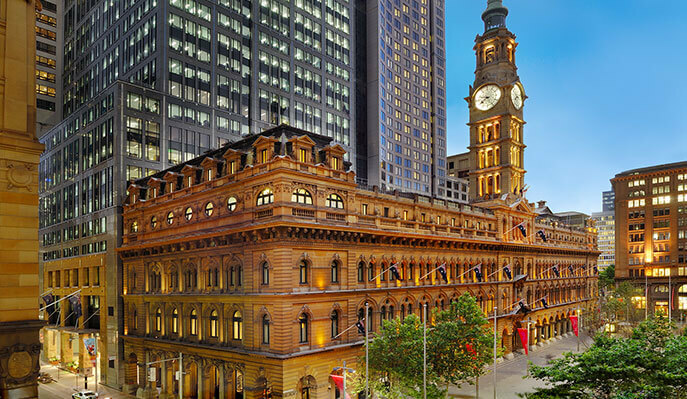 The Heritage Wing of the iconic five-star hotel is housed in Sydney’s historic General Post Office. Constructed from 1866 to 1891 in Martin Place, the majestic, neo-classical architecture functioned from 1874 to 1983 as Sydney’s General Post Office. All points in Sydney were measured in reference to the building. To some, No.1 Martin Place is No.1 Sydney. Heritage Rooms and Heritage Suites of the hotel preserve the classical beauty and grandeur of the bygone era. The Grand Staircase, the Heritage Long Suite and the Heritage Boardroom carry many of the features that accompanied their original design some 170 years ago. Steeped in tradition, the Heritage Ballroom was once the site of the first public telephone exchange in Australia, installed in 1882. The unique combination of cultural heritage and the modern design of the new tower built behind the former General Post Office makes The Westin Sydney the perfect base for experiencing the enchanting past and the vibrant present of Sydney.